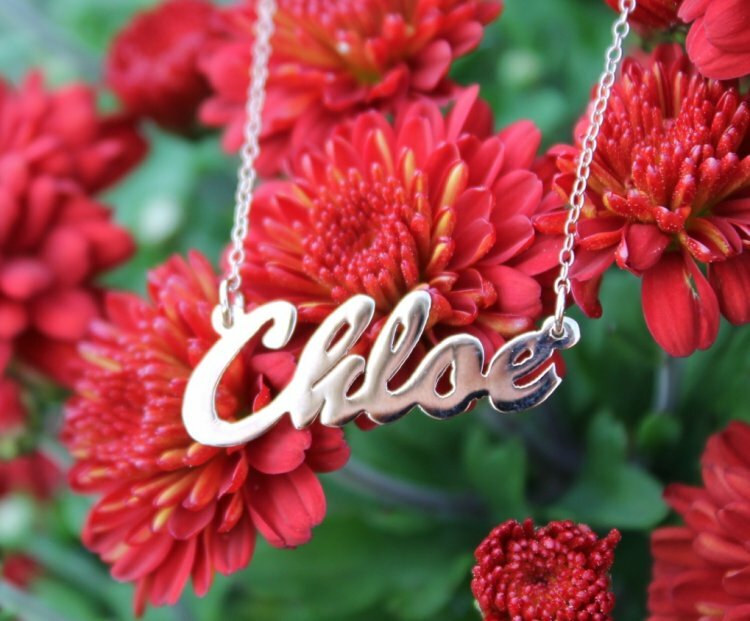 Our scripted name necklace is available in your choice of 14K gold plated over sterling silver, sterling silver, or 10K gold. 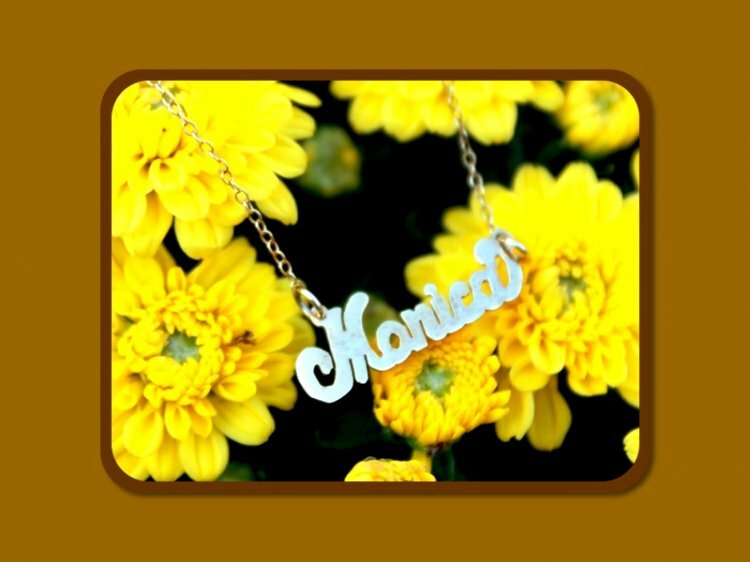 Your nameplate necklace can be personalized with names from 3 to 10 letters and will measure approximately 1" -1-1/2", depending on the length of the name. 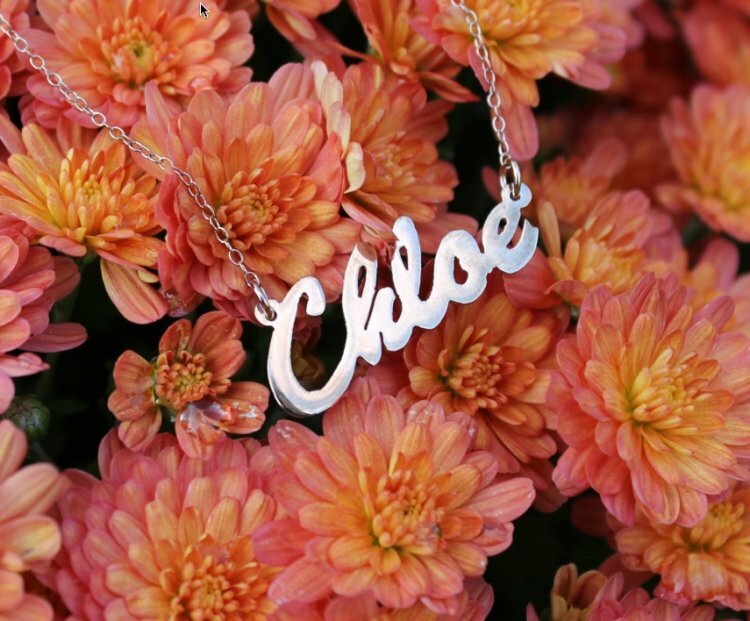 Featured in our "Chloe" script, this necklace is perfect for showing off your personality. 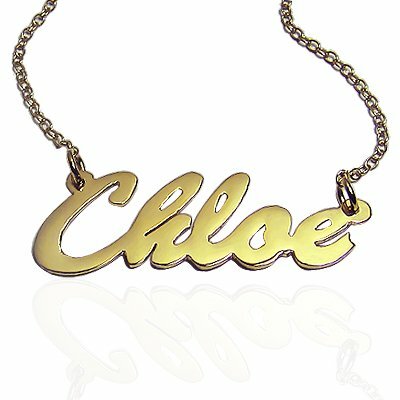 Select your metal choice for the Chloe nameplate necklace.